On sunday we went to a dressage competition near our home. We went as spectators and even though it was a freezing (but sunny) day, thoroughly enjoyed watching several girls we know very well riding their ponies and horses in various different categories. Its a long time since I have observed a competition, as when my daughter is competing I don’t get the chance to see how the others do. 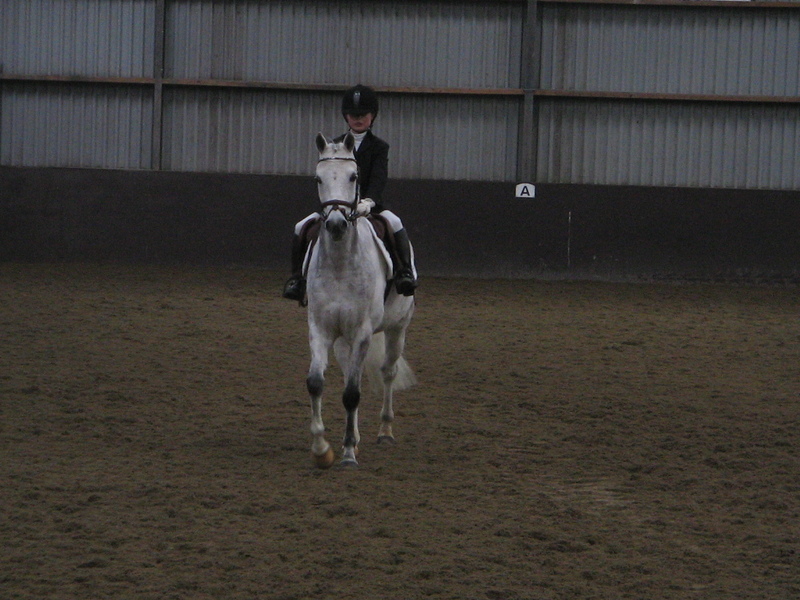 Everyone did very well, but the ones who did the best were the ones who truely believed in themselves and their pony. As I watched each girl ride, the self belief, or lack of it, was really obvious and there was an almost magical transformation as the pony connected and performed perfectly. They say that you have to believe in yourself before you can be sucessful, but I really saw it in action on sunday!